Milton Hershey recently added field lighting to their outdoor track arena. 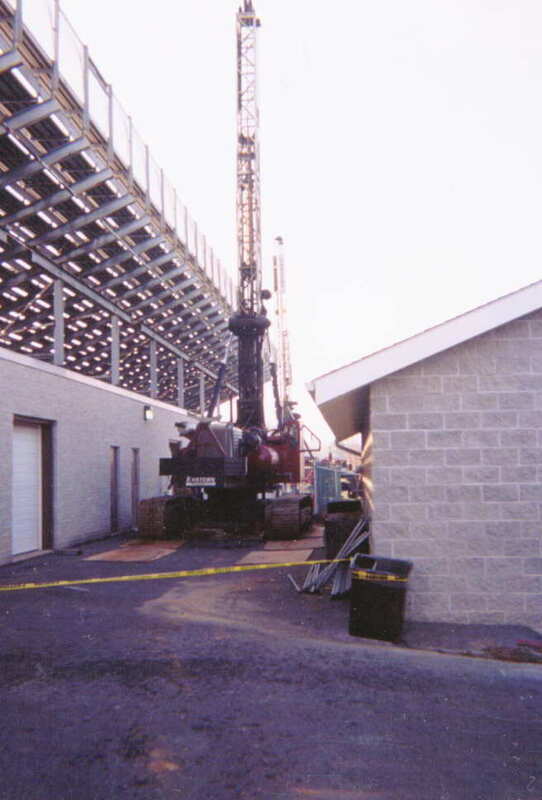 Eastern Caisson provided the foundation work for several light poles. W.S. 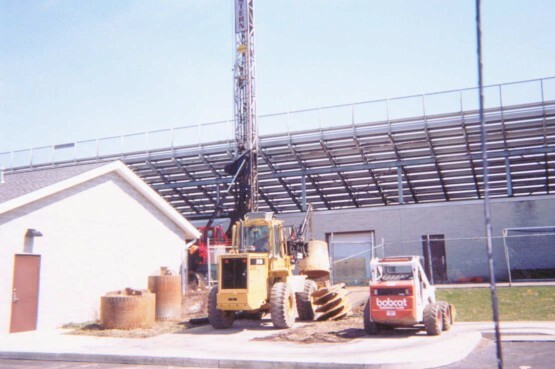 Miller was the electrical contractor while Reynolds Construction Management, Inc., provided the construction management. In order for this job to be completed, Eastern found it necessary to drill the 60″ diameter caissons to the designed depth, through any encountered rock, which required drilling through limestone boulders and ledges. 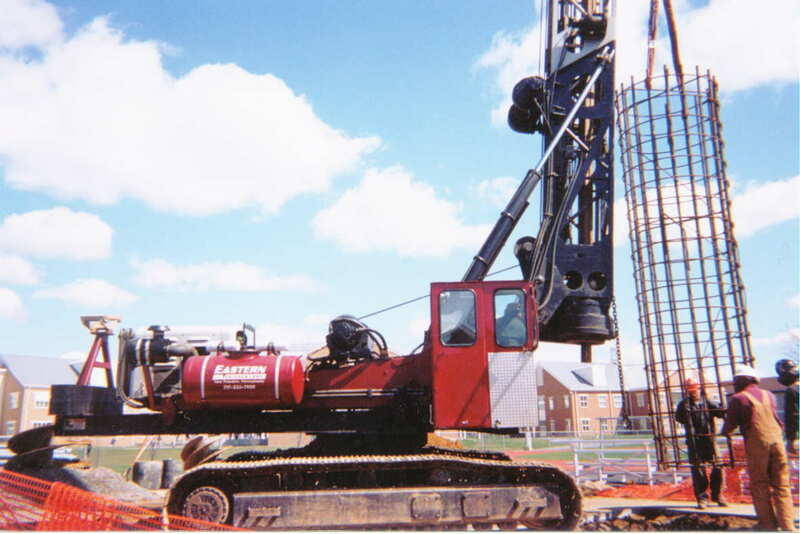 Eastern supplied and set reinforcing steel cages, and formed the caissons above ground. Eastern also set and aligned anchor bolts and installed electrical conduits.